During his distinguished career, Major General Arthur Denaro’s appointments have included Commandant at the Royal Military Academy Sandhurst for three years, Middle East adviser to the Secretary of State for Defence for six years until 2002 and Chief of Staff of the UN Protection Forces during the Balkans conflict (1994-95). 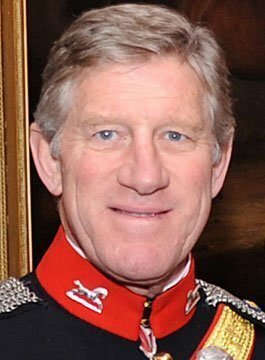 Among his current appointments, Major General Denaro is Trustee of the Prince’s Trust. His compassion, humour, and extensive international experience in leading others combine to produce an address that is entertaining as well as memorable and thought provoking. Major General Denaro’s distinguished career began when he was commissioned into the Queen’s Royal Irish Hussars; his life as a young officer included commanding tank troops in the British Army and being involved with clandestine operations worldwide with UK Special Forces. Prestigious appointments during his career included commanding his Regiment in the War to Liberate of Kuwait, and becoming Chief of Staff of 44,000 troops during the Balkans conflict. The UN Protection Forces in the Balkans were drawn from no less than 31 different nations and they had to operate in a particularly complex and often cruel environment. Major General Denaro’s role included ensuring international relations were maintained despite fraught and often-dangerous events, including the vital military link between Koffi Annan, who was then UN Special Adviser to the Balkans, and the military on the ground. Between 1997-2000, Major General Denaro was Commandant of the Royal Military Academy Sandhurst where he trained international graduates in the art of leadership and the skills of management. He was also the Middle East adviser to the Secretary of State for Defence and the Chief of Defence Staff for six years until 2002. In this role, he led high-level delegations to the Heads of State in all of the countries in the Gulf region as well as to Jordan, Syria and Egypt. As a keynote speaker, Major General Denaro speaks on issues such as Effective Leadership, Change Management, Teamwork and Motivation. Without doubt, his skill at leading, managing, motivating and developing others was essential to his successful career. He is a skilled negotiator and has led others at times of crisis and change in both peace and war. He knows how vital it is to encourage and inspire people across cultures and how to deal with sensitive and difficult issues. During his talks, Major General Denaro draws upon many dramatic examples, both moving and highly amusing, to emphasize his key messages about professionalism, team-building, communication, leadership and integrity and perhaps above all, maintaining a caring attitude. Major General Arthur Denaro is a truly charismatic character. He is in demand to address senior managers and members of the board on aspects of leadership or change management, but he also particularly enjoys giving motivational talks to younger corporate audiences about how to work with integrity and professionalism and how to assume responsibility.